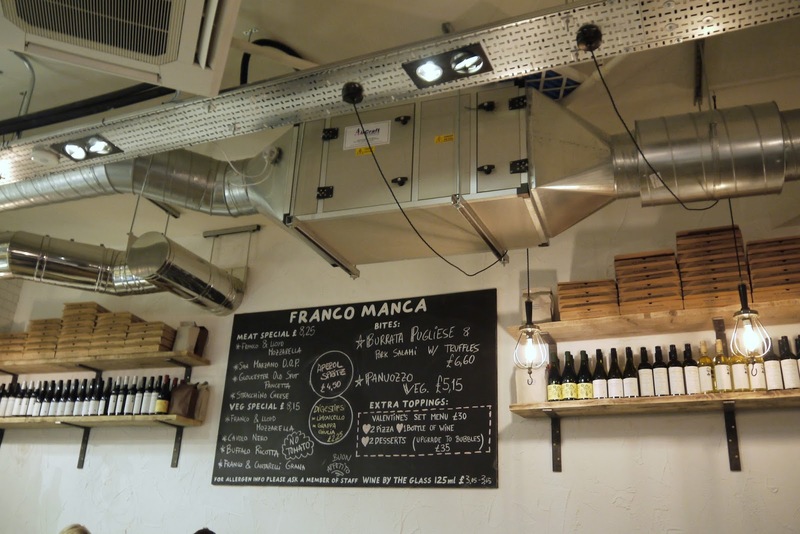 Franco Manca is the next restaurant we visited in WestQuay watermark. 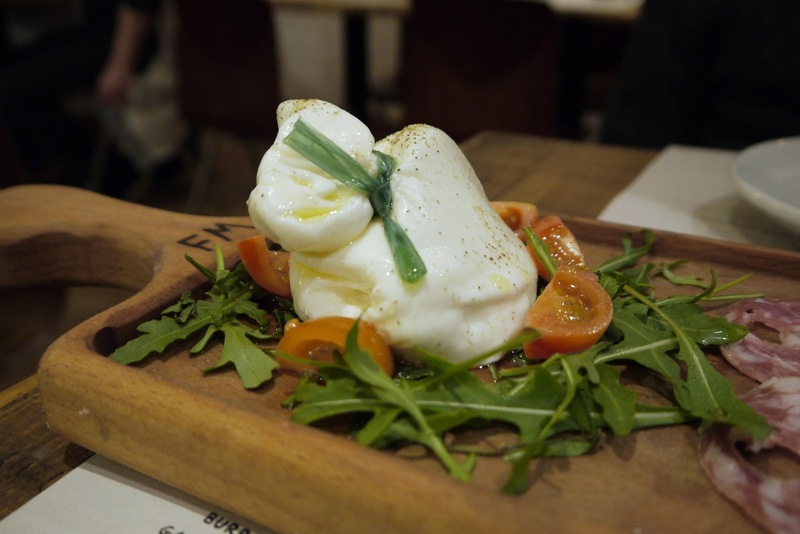 If you have missed the other reviews you can catch up here - The Real Greek, Red Dog Saloon and Carluccio. 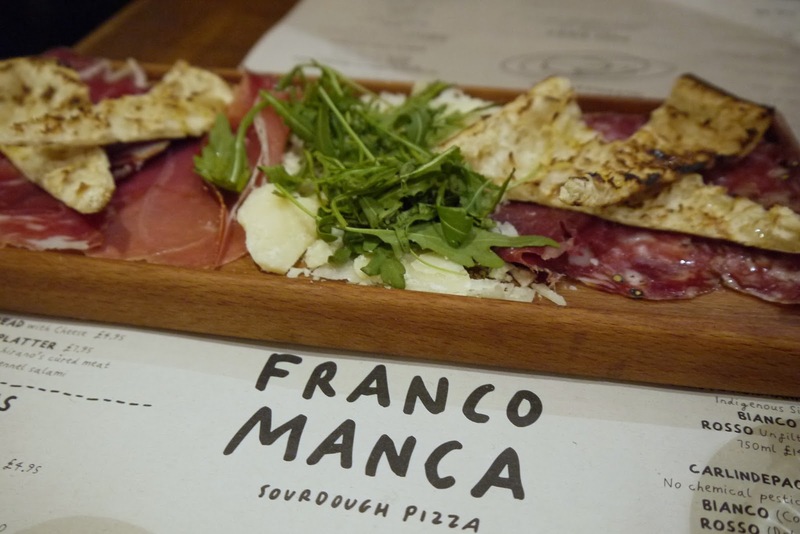 I have never heard of Franco Manca however when I mentioned it to my colleague she said she's been in London and really enjoyed their sour dough pizza so I was very much looking forward to going. First impressions was the menu offering a small menu range but my thinking is if there is a small range but then it must be very good. In addition to the menu there is also a black board full of specials and we did pick the Salad with salami and a drizzle of truffle oil - highly recommend this, the truffle oil goes very well with the salami. 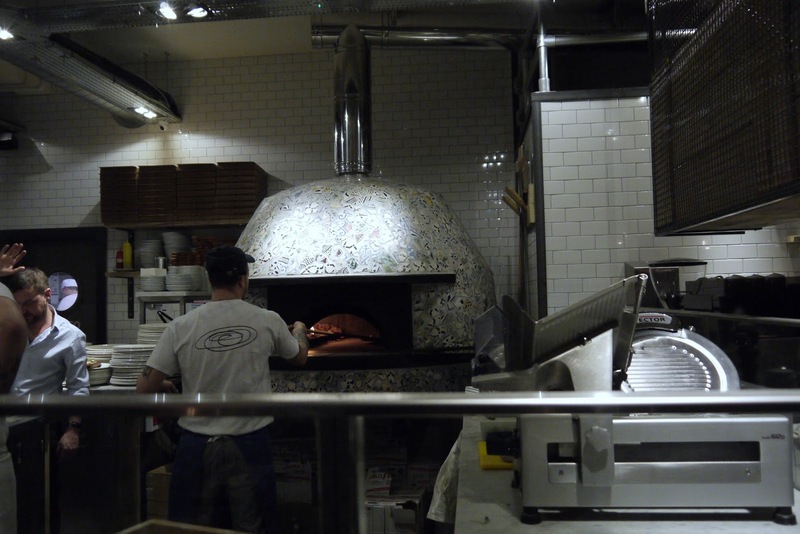 The pizza's are made from a slough rising sourdough and its then baed in a wood burning oven at 500 degrees. This slow levitation and blast cooking process is suppose to lock in the flour's natural aroma and moisture therefore giving a soft and easy digestible crust. This process originates from the Greek settlers who in the 5th century BC founded Neapolis. 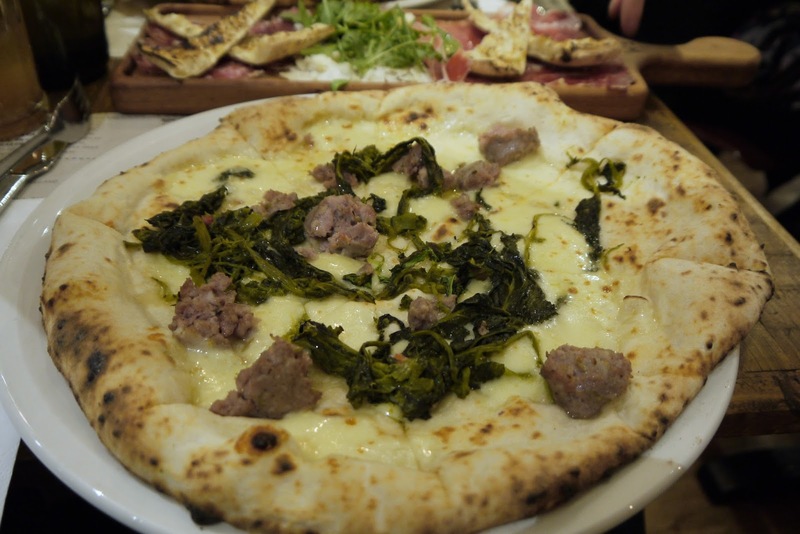 The pizzas are incredibly light, fluffy, soft and easy to eat making it quite easy to actually eat a whole one surprisingly. 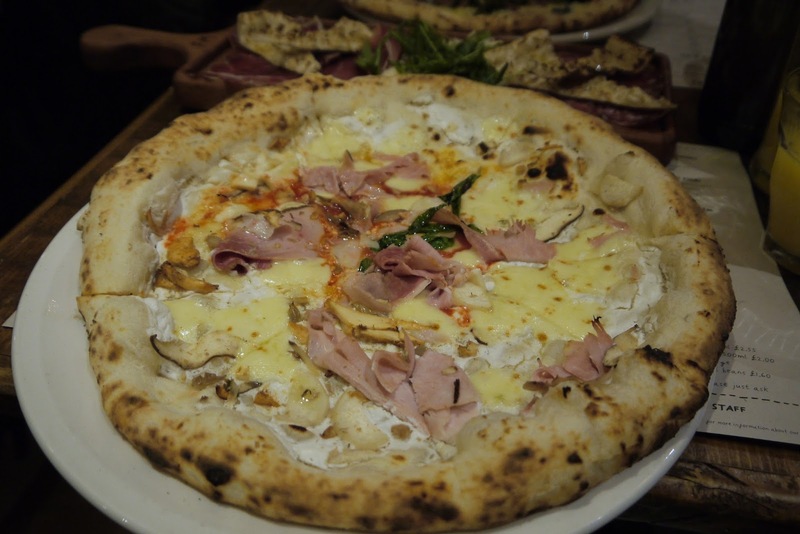 We both thurroughly enjoyed our meal there and the price is so reasonable so this is a great place to go with a group of friends if everyone is on a budget - lets be honest everyone loves pizza! If you can't make it to the restaurant they also deliver!! !